Jack Ryan: Shadow Recruit is now showing in Australian cinemas and is distributed by Paramount Pictures. Now showing in the USA and opening in the UK on the 24th January 2014. 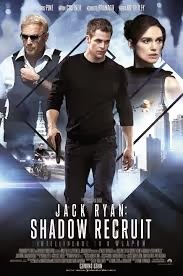 The latest edition to the group of films based on Tom Clancy's novels, Jack Ryan: Shadow Recruit doesn't quite pack the punch which it should and also thinks that it does. While it has an interesting enough story, it tries to pack too much into it's hour and 45 minute timeframe and as a result comes up with a fairly mediocre action thriller which does nothing to jolt the viewer until the very end. Jack Ryan: Shadow Recruit takes us back to when Jack Ryan (Chris Pine) was an American student studying in the United Kingdom, which was when September 11 rocked his world and made him change his course in life. Years later, Ryan is now working for the CIA while putting on a convincing front of being just a financial analyst, and is living with his girlfriend, Cathy (Keira Knightley), who has no idea what he really does. When he uncovers a Russian plot to bring down the American economy, he travels to Moscow and places himself and Cathy in grave danger. Jack Ryan: Shadow Recruit is unlike any other of the films featuring Jack Ryan, who has previously been played by Harrison Ford, Ben Affleck and Alec Baldwin. The main difference is that unlike The Hunt For Red October (1990), Patriot Games (1992), Clear and Present Danger (1994) and The Sum of All Fears (2002), this film is not actually based on a Tom Clancy book. It takes the characters which Clancy created and attempts to provide some answers to the question of where Ryan actually comes from and how did he get to become the incredible agent that he is. So does this work if we accept that this is the object of this film? Not entirely, as his early life is only discussed for a matter of minutes before delving into the world of conspiracies and evil doings. There is enough included to grasp who Ryan is and where he has come from, as well as how he and his future wife, Cathy meet, but Adam Cozad and David Koepp's screenplay just has a little too much packed into it to have any real depth or emotional implications. Yet, you know you don't go and see a Jack Ryan movie in order to see a heartfelt piece of cinema. You see it for a clever political thriller with some really cool action scenes. As far as Jack Ryan: Shadow Recruit goes as a political thriller, it just scrapes into the territory of success. Perhaps not the most suspenseful or fast paced thriller you will see, but it is still quite clever and interesting. However, the majority of the film is not particularly action-packed and it is the last 20 minutes that is the best of the film in this respect. The first half of the film is really quite slow and although the story is interesting, it loses it's thrill in it's pace. Kenneth Branagh obviously tries to do as much as he can to make the film feel important and to make it seem a lot more interesting. The musical score implies that the scene we are watching is of huge importance and that we should be in awe of it, but the script really does nothing to support this. If you are a huge Jack Ryan fan, you may think differently, but for people who haven't seen many of the other films and are unfamiliar with Clancy's novels won't see the big deal. Some of the camera work is impressive (particularly in the last few scenes), while some of it is not all that impressive. However, the location shots of the city of Moscow are pretty impressive. Chris Pine was an obvious choice for the young Jack Ryan. He has no problems with the action roles and from his experience with this genre does well enough the title character of the film. 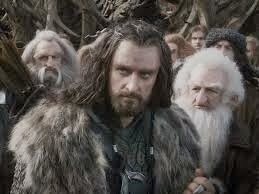 It is by no means a challenging role, but he is convincing and brings his own to the character. Keira Knightley also does well as the future Cathy Ryan. The English actress has a most impressive and convincing American accent and she is a very likable character. Kevin Costner's role may be a disappointment to his fans. As Ryan's confidant, Thomas Harper, he really doesn't have a great deal to do in the film and as a result his time on screen is just a little boring. Kenneth Branagh is quite good as Ryan's enemy, Viktor Cherevin. He plays the Russian bad guy well and has the talent of directing himself very well. 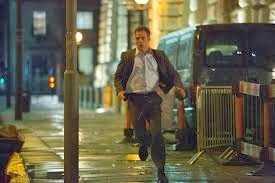 Even if you are craving a bit of action in your film diet, Jack Ryan: Shadow Recruit doesn't give you the big action you would be looking for. It's unfortunate that it takes so long to really get into the film and once it does get to that point, it is minutes off it's end.